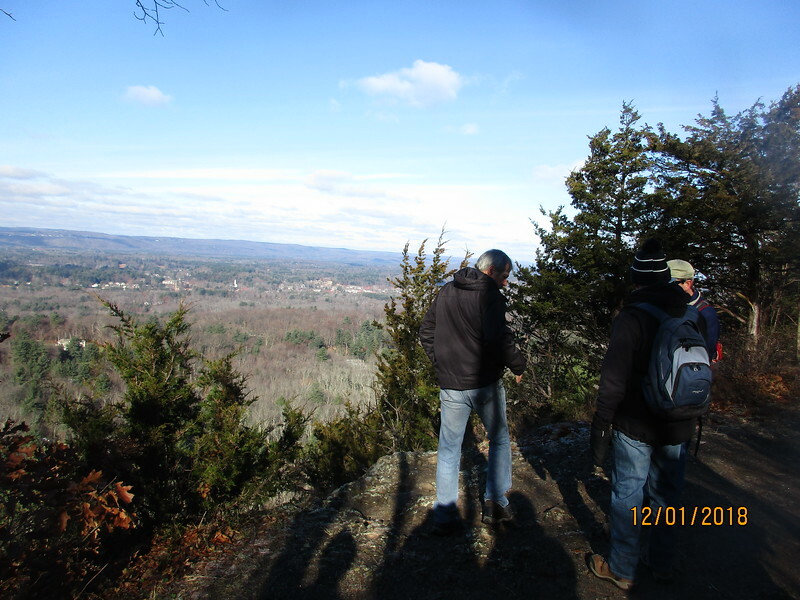 Tom Copp's hike to Penwood State Forest in Simsbury, Ct. along the M+M trail. 10 hikers enjoyed mild temps. and Sheila Copp's delicious cookies!!!! Breakfast at Benny's in Simsbury. Photos by Mary Ann.